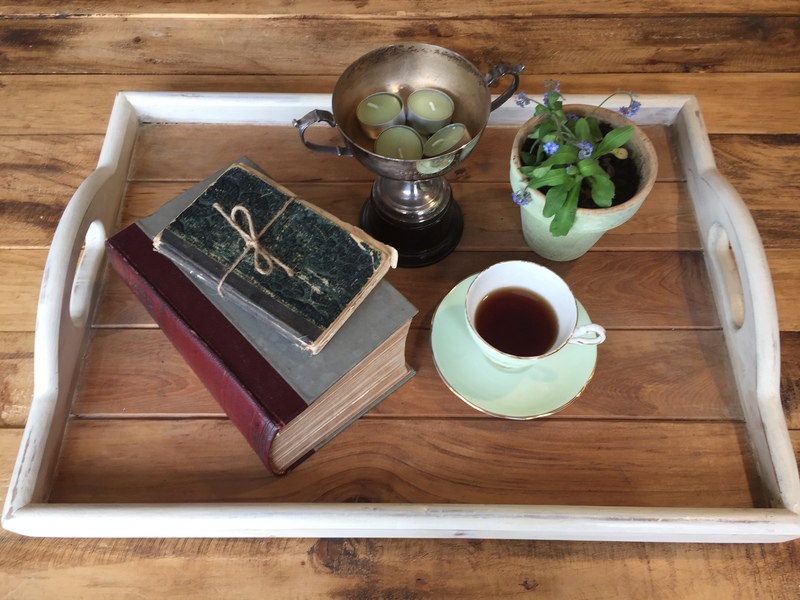 I was excited to find a old wooden tray at a thrift store this week, it was rather gungy (which is why I think someone hadn’t brought it before me). 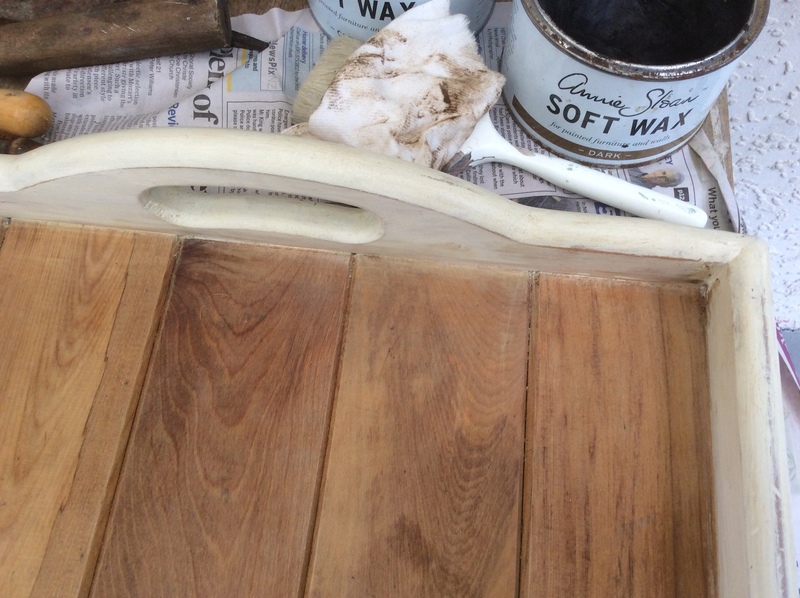 It had either been waxed or oiled thickly, which collected dust and stuff over the years. 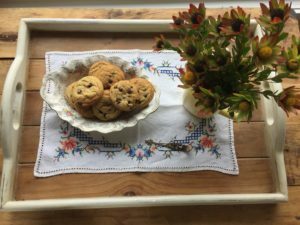 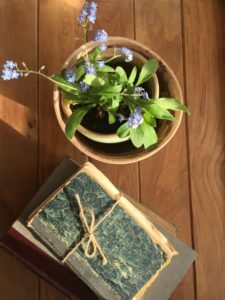 Time to do an old wooden tray makeover! 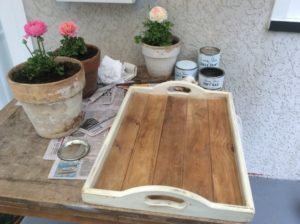 I decided to just paint the sides of the tray. 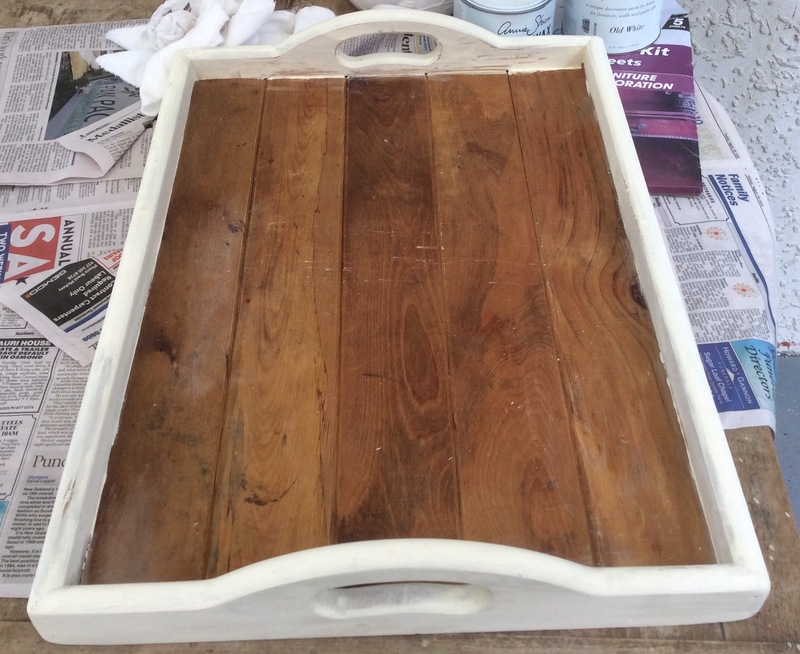 Unfortunately, in my excitement to get started on this project I didn’t take a before photo, but you can see the thick dirty layer on the bottom of the lovely wood of the tray. 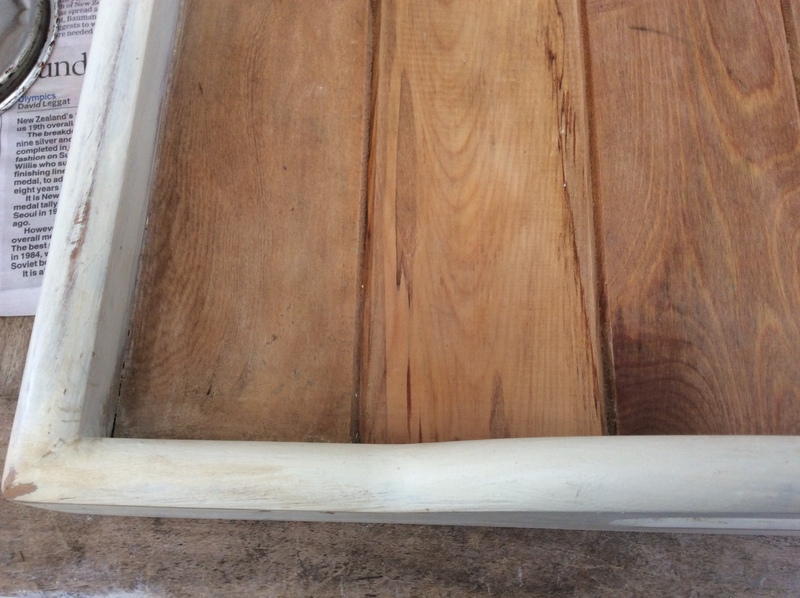 I had to scraped and cleaned off the layers, then wiped down with warm water and dish detergent. 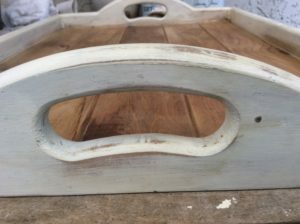 I used Annie Sloan Chalk Old White Paint to paint around the sides, and because I knew I was going to distress after painting I didn’t need to worry about getting it on too perfect. Next I lightly sanded areas to give a distressed look. 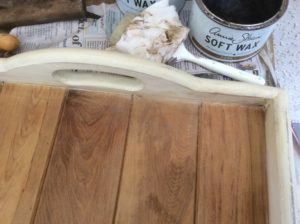 If I felt I had sanded too much I was able to paint back over the area. 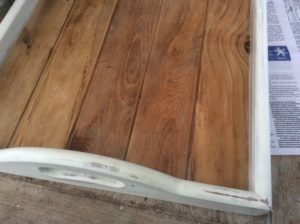 I love how quickly this paint drys and how easy it is to put another layer on top of the first coat of paint. I used Annie Slone clear wax over the sides and bottom of the wooden tray. Finally, some dark wax over the distressed areas and just enough spots to make it look aged. So pleased how well the wood came up when cleaned and waxed. 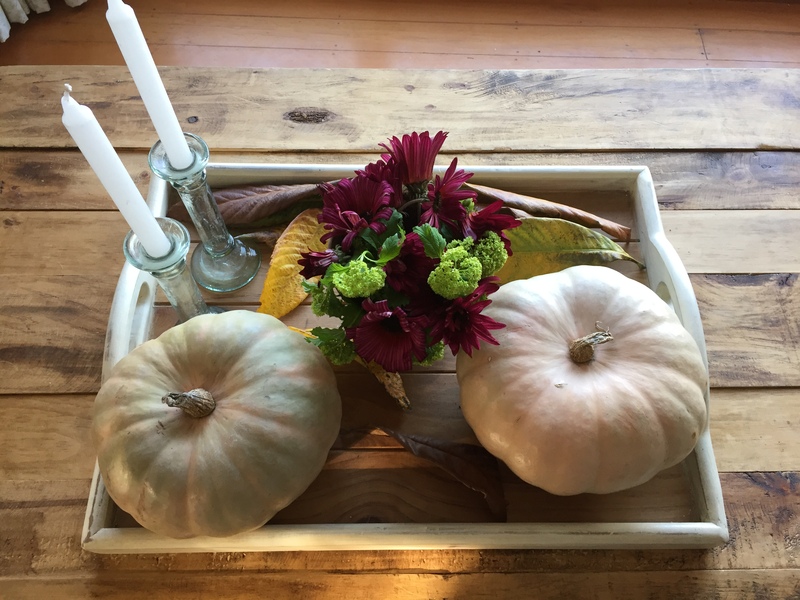 Love this old wooden tray makeover! 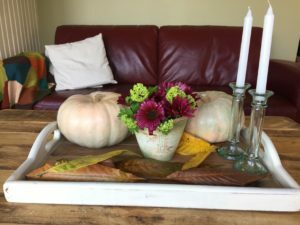 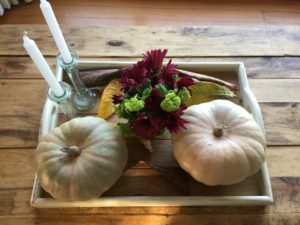 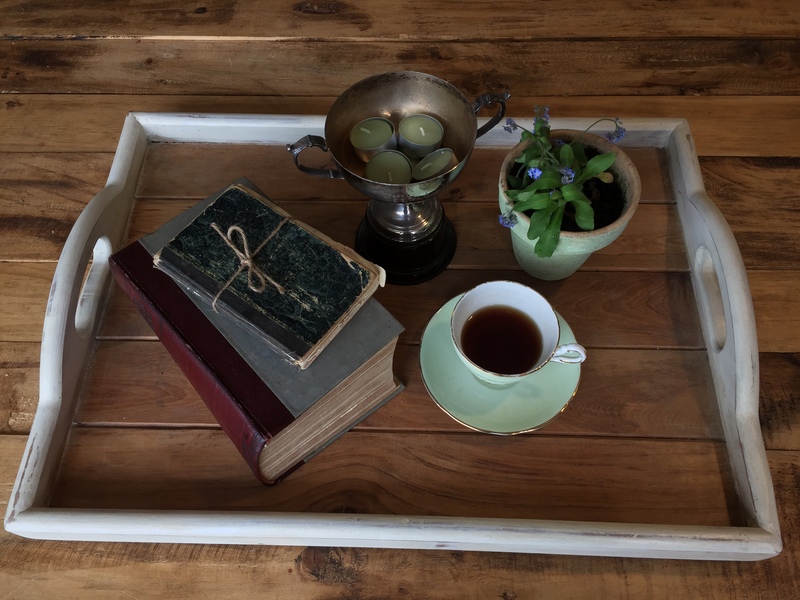 If you enjoyed this post come back to see my pallet coffee table….